The European Legal Tech Association (ELTA) renewed its board of directors last week. Tobias Heining is ELTA’s new president. A founding member of ELTA, he is also Director of Business Development and Communications for CMS in Germany. Heining has extensive experience in the development of technology-based legal advisory products. From his point of view, “digitization will have a dominant footprint in the legal market, as it puts a focus on usability, accelerates commoditization, enables new ways of collaboration and allows scalability of legal services beyond human resources”. Therefore, his first objective will be to convince all people affected by this massive transformation to “think positively and become active designers of their own professional future”. In its board of directors, Heining will be surrounded by professionals who are active in the fields of innovation and Legal Tech. One of its main supports will be María Jesús González-Espejo, co-founder of the Instituto de Innovación Legal and managing partner of Emprendelaw, expert in legal design thinking and promoter of innovative events such as the hackathon #HackTheJustice or the Legal Design Challenge. González-Espejo, who was already a member of ELTA’s previous board of directors, will assume a more proactive role in the design and development of the association’s activities. 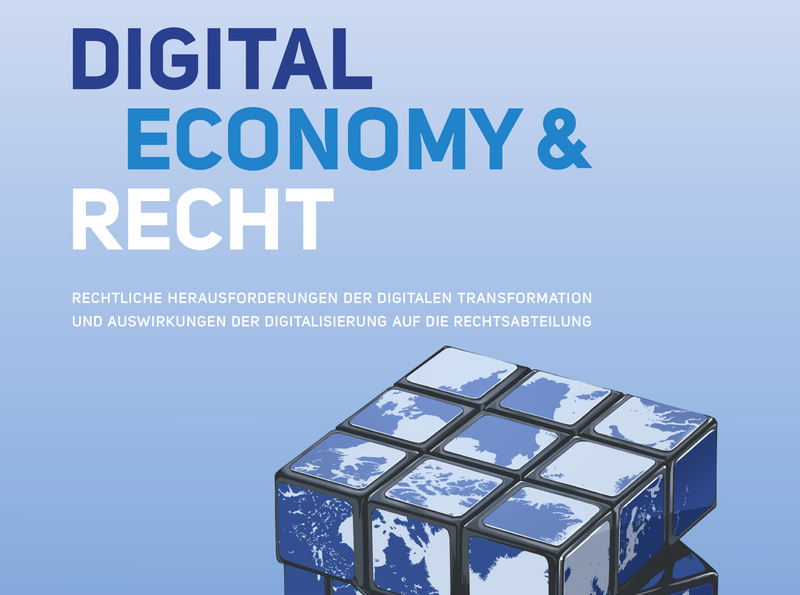 For her, “jurists are already aware that digital transformation must be among their priorities”, to which she added that “they also need to have a global vision, because technology may or may not come from abroad. Collective knowledge and diverse backgrounds are critical, and it is precisely something that ELTA affiliation will bring them. Hariolf Wenzler, who has served as President since ELTA’s founding, becomes treasurer. He is the head of business development, marketing and communications of Baker Mckenzie’s EMEA+ offices and a member of the firm’s global innovation committee. He helped set up ReInvent Law, the first legal innovation hub in continental Europe. Finally, Marie Bernard and Jeroen Zweers remain in the executive board. Bernard is the founder and managing director of Bleu de Prusse, a business transformation consultancy and Zweers is the innovation director of Kennedy Van der Laan, a Dutch law firm. technology for the legal sector. About ELTA: ELTA is made up of law firms, companies, legal technology providers, start-ups and individuals in Europe. The association considers itself as a specific platform for the promotion of knowledge about – and possible application of – technological and softwarebased solutions in the legal market, as well as their uses in companies, law firms, start-ups and other initiatives active in this field. 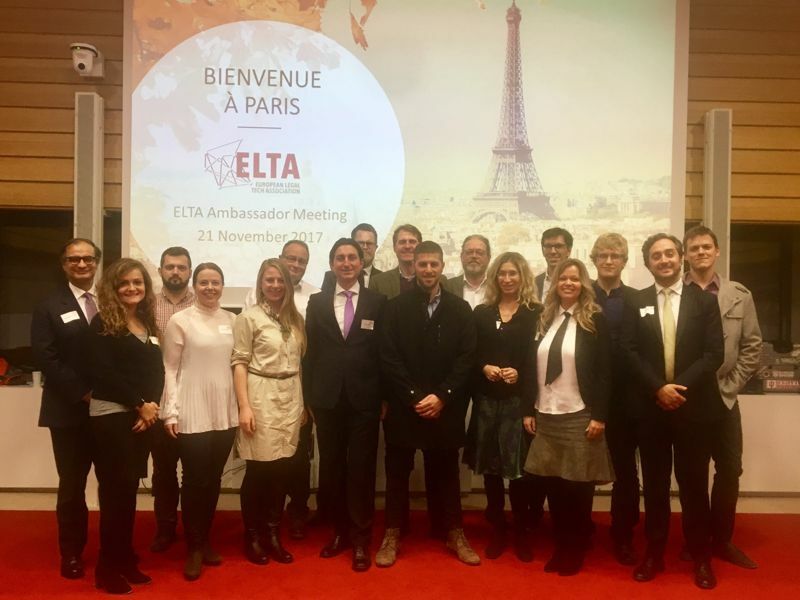 On November 21st ELTA had its first ELTA Ambassador Meeting with his Ambassadors from Austria, Bulgaria, Estonia, Finland, Hungary, Israel, Italy, Spain, Switzerland, The Netherlands, Ukraine and Russia. The agenda of the meeting hosted by CMS France was fully packed. After a short welcome and introduction by ELTA Chairman Hariolf Wenzler, we jumped into the discussion about the definition of the Ambassadors’ role including responsibilities, goals, commitment, and tasks, as well as the role of the Ambassadors’ group within the ELTA ecosystem as think tank, local representatives, promoters and connectors, adding perspectives and insights from the legal tech scene from all across Europe and also contributing content and knowledge to existing and future ELTA products. Particularly the latter will be of high relevance, as ELTA was founded and is meant to be an association of members. Accordingly, offering added value to the members is and should be paramount to the organisation. Several ideas to achieve this goal already were presented by different Ambassadors, and discussed and further elaborated in the course of the meeting. The Ambassadors also agreed on supporting each other and on sharing their experiences in setting up regional legal tech communities to further drive the ELTA spirit locally. This very constructive and result-oriented first Ambassadors’ meeting was rounded off by a dinner accompanied by an inspiring key note from Brian Kuhn, Global Leader and Co-Creator of IBM Watson Legal. Thanks a lot to Brian for joining us in Paris and to all participants for the great exchange of ideas, conversations, contributions and lively discussions. Looking forward to working with you all in the coming years. There is a lot of buzz around the word „AI“ in Legal Tech at the moment. 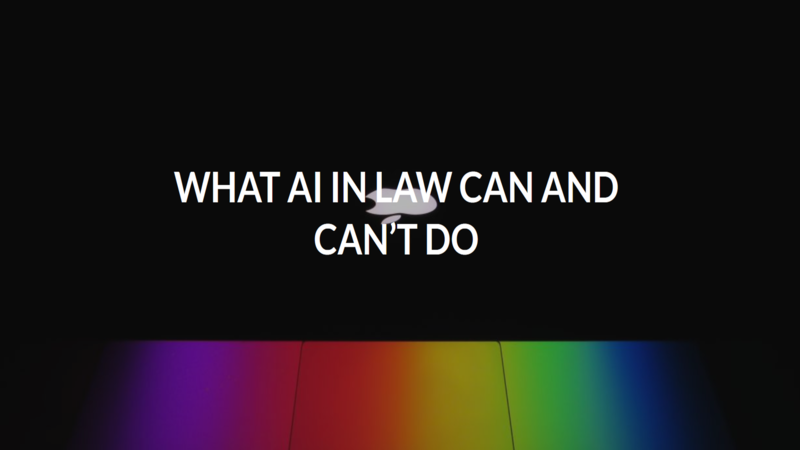 AI is portrayed as the number one trend in the legal industry and beyond, with a particular focus on its potentially disruptive nature. 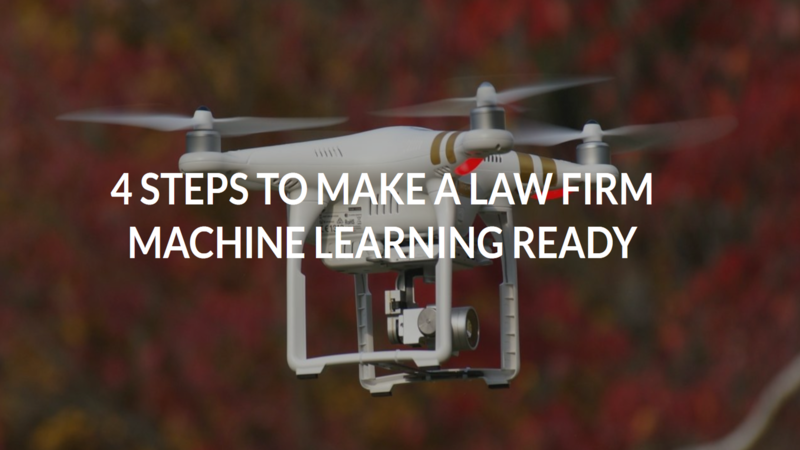 Consequently, many lawyers want to understand how AI might change or disrupt their profession. Some are already a step ahead posing the question how they could use it to reinvent their own law firms. The hype (and sometimes hysteria) around AI at times seems to be based on an unrealistic picture of the capabilities of the current AI technology. AI seems to be almost magical. A technology we do not really understand that has the potential to heal all our problems and inherent human limitations. “But”, as Andrew Ng put it in a very interesting Harvard Business Review article, ‘it’s not magic„, Today’s AI is far away from being magical, or even a „strong AI“ (or „full“ AI). Strong AI describes a hypothetical machine that exhibits behavior at least as skillful and flexible as humans do. Instead, what we have today is „weak or narrow AI“. Weak AI is non-sentient AI that is focused on one narrow task. Weak AI can only be used in a limited context. Think a „chess AI“ cannot be used for translation. At first glance, these types of AI seem to be relatively simple and somewhat limited. These examples of weak AI use some input data (A) to quickly generate some response (B). The technical term for this „input – output machine“ is „supervised learning“. Supervised learning is the Machine Learning task of inferring a function from labeled training data (Wikipedia). Supervised learning has been improving rapidly in the last couple of years (In 2015 alone, technology companies spent $8.5 billion on deals and investments in artificial intelligence) and the most advanced are built on deep neural networks. But these systems still fall far short of strong AI. There is a great challenge for companies developing AI based on supervised learning: It requires a huge amount of data. In order to train an AI-algorithm it needs to be fed with a lot of input – output training data. The training requires carefully choosing the input and output data. Otherwise the algorithm is not able to figure out the relationship between input and output in an accurate, non-biased way. This means early adopters and „producers“ of AI may have a competitive edge as they have sufficient time to allocate enough training data and thus to properly train the AI. Therefore, it can be dangerous to jump on the AI-bandwagon too late. Put differently, it may be a great chance for lawyers, law firms and legal departments to develop a weak AI in a lucrative niche. It will then be very difficult for copycats to reproduce the results in a short timeframe due to the lack the sufficient data. 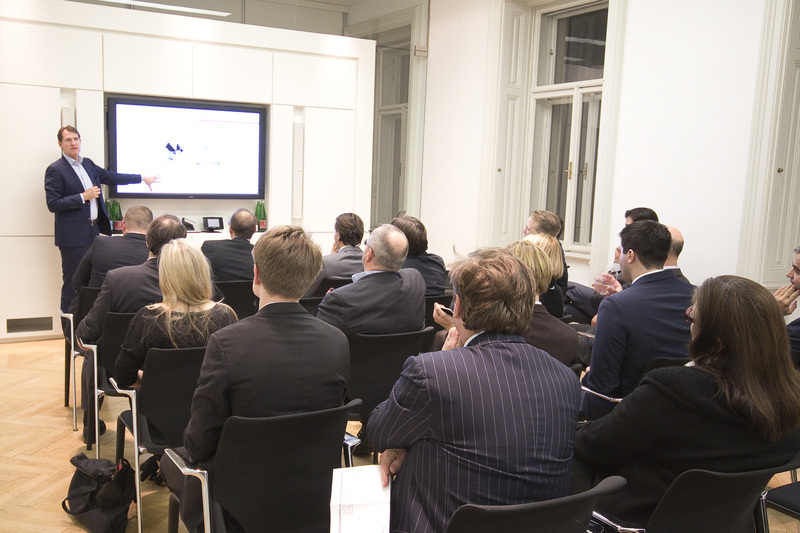 On Nov. 7, 2016, Hariolf Wenzler opened the first Legal Tech Meetup in Vienna, Austria with some 50 lawyers, inhouse counsel and entrepreneurs. Clemens Wass of openlaws.eu gave a talk about better legal research and data retrieving. Andreas Sernetz of fairplane.at spoke about EU citizens’ difficulty to claim rights against airlines and the facilitation by technology. Lukas Feiler of Baker & McKenzie’s IT law practice concluded with tech products the firm developed and successfully deploys, before all attendees were invited to adjourn with drinks and snacks. Legal Tech seems to be a global phenomenon. Legal Tech companies and communities are popping up around the world and share some common characteristics and challenges. In our ELTA meetup in Berlin on October 19 David Curle (Director, Market Intelligence at Thomson Reuters Legal) gave a presentation on why and what may and should be learnt from it. Click here to download Davids presentation. The meetup was kindly hosted by Dentons. The data volume in legal services is increasing steadily. The ability to depict, analyze and interpret legal data will therefore be absolutely crucial for the success of law firms in the future: computer programs will be able to take on 30 to 50 percent of the tasks currently performed by junior lawyers – which means that more and more lawyers’ jobs will be under threat. What we refer to as “legal technology” uses software to facilitate the digitalization and automatization of work processes – such as the automated evaluation of major agreements, the management of cases, and back-office assignments. Law firms in Germany still hardly use legal technology – and on top of that, only a few start-ups in Germany are offering specific software solutions in this area. This was the joint conclusion drawn by the Bucerius Center on the Legal Profession (Bucerius CLP) and the Boston Consulting Group in the study “How Legal Technology Will Change the Business of Law.” Fifty interviews were conducted with partners in large-scale law firms, including the nine financially strongest offices in Germany, which account for around 13 percent of the aggregate financial volume generated in the sector in that country. In addition, owners and representatives of legal-tech companies were asked about the effects of legal technology on law firms’ business models. “Large and small law firms can no longer afford to ignore legal technology if they want to remain competitive,” says Dr. Christian Veith, BCG Senior Partner and one of the survey’s authors. Markus Hartung, Director of Bucerius CLP, is likewise convinced that law firms are being forced to rethink their existing business models. “In the future, the legal profession will increasingly require project managers and specialists who can work with legal technology,” explains Mr. Hartung. To read the legal-tech report “How Legal Technology Will Change the Business of Law,” please click here.